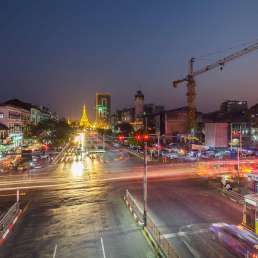 This guide presents 110 buildings around Yangon. Collectively they help the visitor—or resident—appreciate the built environment of a fast-changing city. Although we publish this book in DOM’s Architectural Guide series, we hope to attract a diverse range of readers, and not “just” architecture enthusiasts: this guide is for anyone who wishes to learn about Myanmar and its former capital. As just one of three authors of this book is an architect by training, it will become clear that the built environment is only a lens through which we look at the country’s and city’s historical, social and economic context. For me, this project constitutes the culmination of a multi-year intellectual journey. I am a development economist by training, hence I tended to look at the world through the abstract and by approximation. A long stay in Tokyo changed this. As I walked the streets and remembered my classes on the Japanese economic miracle, I found its physical manifestations everywhere, in the many layers of the built environment, prompting my continued research at the interstice of society and space. In early 2013, I took on a month-long assignment in Yangon, researching the investment environment in this rapidly liberalising country. Fascinated by Myanmar’s history, the city had a profound impact on me. Traces of the past, far and near, were virtually everywhere. I was hungry for information that linked the many spaces to this most fascinating history. The idea for this book was born. Of course, there are pitfalls to writing a guide about a city on the cusp of a new chapter in its—and Myanmar’s—history. Inevitably information will become out of date, perhaps faster than we expect. Some buildings will disappear. New ones will rise. Their uses will change. Some of our speculations may turn out wrong. Nonetheless, these are exciting times to write such a guide. In 10 to 20 years, much of this city will have mutated beyond recognition. We hope this book helps to record the sheer scale of Yangon’s transition at this moment in time. There are many recurring themes in this book. One is the cosmopolitanism of old Rangoon. Plenty of buildings around the city convey this, and many are featured in our book. 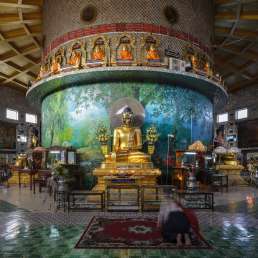 Others, which we could not fit in, include the Chinese shophouses in Latha, or a building from the Sikh community—perhaps its Gurdwara on Thein Phyu Road. There are also many buildings we would have liked to show in our book but that are no longer standing. A Parsi fire temple near Mogul Street comes to mind. 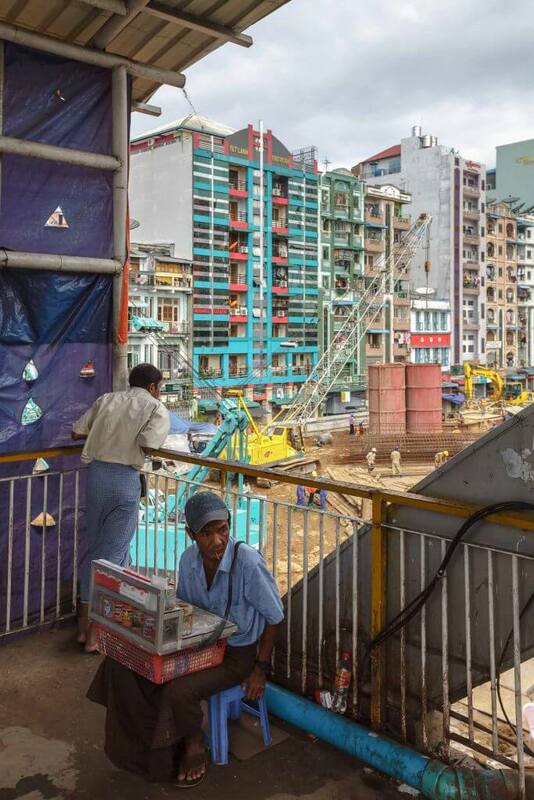 From this angle, a selection of merely 110 buildings falls way short of conveying the true richness of Yangon. 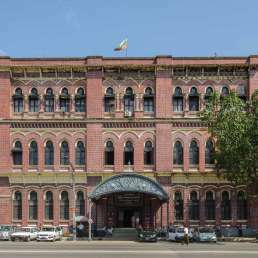 To put this in perspective, a new list of notable buildings by the Yangon Heritage Trust (YHT) will reportedly contain more than 1,000 edifices around town. When telling people that we were writing an architectural guide to Yangon, a typical reaction was to assume we were focusing on colonial buildings only. In fact, the most rewarding moments of research brought us closer to the city’s lesser-known, post-independence architecture. The architects—literally building a new country—taught us many lessons. 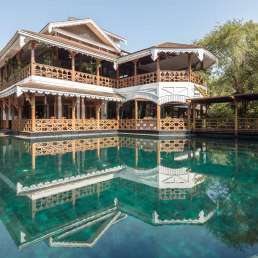 We discovered the lives of Raglan Squire, Viktor Andreyev and Benjamin Polk, among the first foreign architects to work in independent Burma. Of equal if not greater significance, we learned about a small and impressive group of local architects. While U Tin was the most famous among them, U Tun Than and U Kyaw Min left behind important legacies within the cityscape as well. We hope to provide our readers with more than just information about the buildings. The book contains six thematic chapters, or “insets”, covering topics crucial to understanding Yangon’s built environment. They make lateral connections that help to place the buildings in a richer context. They may guide thematic explorations in a city that, in many respects, remains underexplored. Often, reliable information had to come not from within Yangon but from libraries abroad. 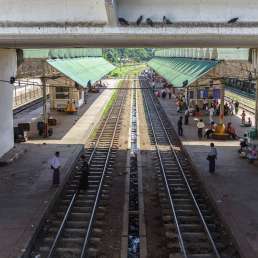 It can only be hoped that a stronger academic community in Myanmar will soon enjoy greater freedom to explore the urban environment past, present and future. Besides a timeline highlighting the most notable dates and events of Yangon and Myanmar’s history, we also included the five favourite buildings of several personalities with deep connections to the city, to add a more personal layer to the book. We deliberately avoided using old archival photos. For one, we hope that our text builds vivid-enough bridges to the past. But we also wanted the visuals to focus readers on the here and now—and consider Yangon’s future too. There are already books that transport you to the days of old Rangoon, and we could not aspire to compete with them (see Bibliography). We only made a couple of exceptions. A 1909 map of Rangoon shows both the continuities and the drastic changes that the city has experienced over the past century. Besides some photos taken by German photographer Adolphe Klier, we also show some snaps from travellers who came through the city between the 1970s and 1980s. While more recent than the black-and-white images of the colonial period, we feel these times are perhaps the most forgotten of all in Myanmar’s modern history. Hi this is Yu-Hsuan from Taiwan. I’m currently in Yangon and look for the Zoroaster fire temple bear mogul street you talk about but I couldn’t find it, could possibly tell me the exact location?